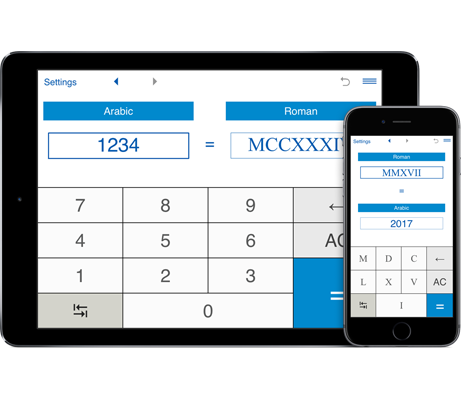 A handy and easy to use app that can convert Arabic numbers to Roman numerals and vice versa. To convert decimal numbers to roman numerals, simply enter a whole number between 1 and 3999 and click "=". The corresponding Roman numeral will be displayed in the box below.